It’s that time of year again….TAX time!!! For our little family of entrepreneurs (him) and contract workers (me), this time of year isn’t so fun. Relatedly, because I’ve started gathering the relevant documents, I’ve seen how much INTEREST we’ve paid this year and it is sickening! 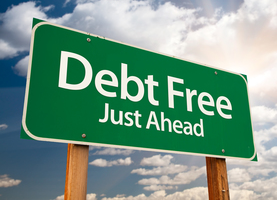 Between student loans, the car loan, and the credit cards (note: we no longer have credit card debt at this point, but before they were paid in full we did accumulate some interest from them at the beginning of 2014), we ended up paying a total of $5988.95 in interest. Can you believe it? That’s sooooo much money to be simply giving someone in exchange for them lending us money. It sickens me as I think of all the things we could do with $6,000! Perhaps not surprisingly, the majority of the interest came from the student loans (just over $3,000), the rest came from the car loan (a little less than $2500) and credit card debt (remaining). I know you can deduct interest payments for tax purposes*, so that’s what we’re planning to do. Still, I’d much rather pay taxes on that $6,000 of income and get to keep the money in my pocket rather than paying it out as interest. Booo!!!! Have you started figuring out tax stuff yet? Do you get a refund? How much did you pay in interest last year? Ugh, taxes. We have never owed before, but this year Uncle Sam held his hand out for about $2,300. It hurt, ya’ll. I can’t say that I didn’t have an inkling that this would happen. For the last couple of years we have adjusted our withholding so that we would not get a refund at the end of the year. I’d rather have that money year round than let the government hold on to it interest free for a year. Well, last year I did not figure it correctly and it kind of came back and bit me. Luckily, we had what we needed to cover it. It impacted our debt repayment plan a bit but I’m thankful that we had enough in savings to cover it. Hopefully this year I’ll do a better job with my figures!